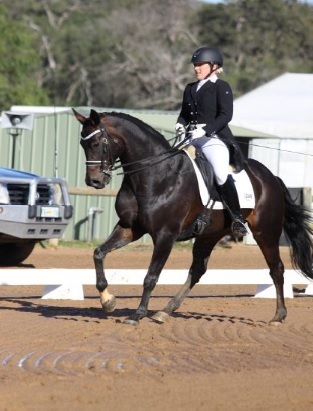 On the 3rd to the 5th of August 2018, the Henty Riding Club held their annual Winter Dressage Championships at the Dardanup Equestrian Centre. This time the competition was held over three days to include a young horse championship for 4, 5 and 6 year olds starting on the Friday. Tests were provided from preparatory level up to Grand Prix for EA competitor and participant riders as well as competitive pony classes. The FEI classes were well supported with a record number of entries. 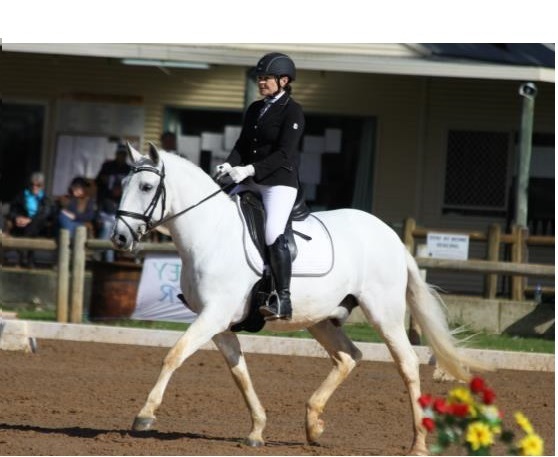 On the Saturday afternoon Dressage WA held its regional rider’s forum which was well attended by many competitors as well as some nibbles and local wine tastings which gave riders an opportunity to discuss the future of dressage in WA. As is often expected at this time of the year, the weather was pretty wet and wild however those who stuck it out were rewarded on the Sunday with an ease of the conditions and everyone started to dry out! Riders were permitted to wear a light and short rain coat over their jackets to try and keep dry. Despite the rain, the arenas held up very well and organisers spent a lot of time ensuring everything that could be done was done, including extensive grading of arenas and changing arenas wherever possible for better performances each day. As always, the competition ran smoothly with the aid of some very experienced organisers, helpers and friendly and encouraging judges with two guest judges, FEI 5* Mary Seefried from QLD and FEI 4* Jane Ventura from Victoria. To win a championship above preliminary level, riders had to ride a freestyle to be eligible which made it much more interesting for spectators and fellow competitors in between their classes. Chief Judge Mary Seefried said “the inclusion of freestyles into championship shows was a very positive one and would encourage this in the future”. Henty Riding club had arranged some amazing sponsors for all the classes which certainly made it worthwhile getting wet!